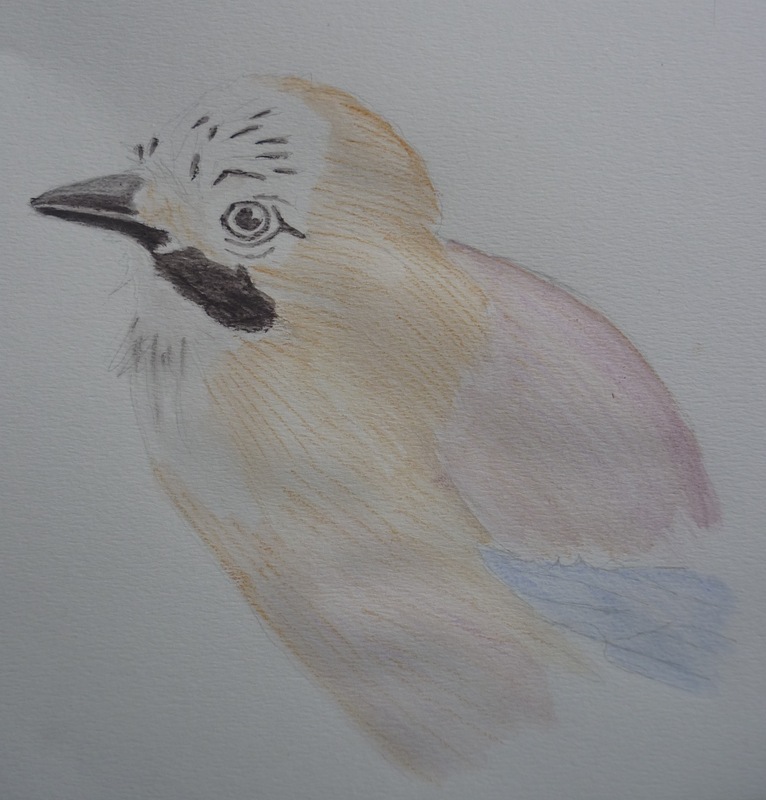 The following images are two different techniques I used to create the images of a Jay. 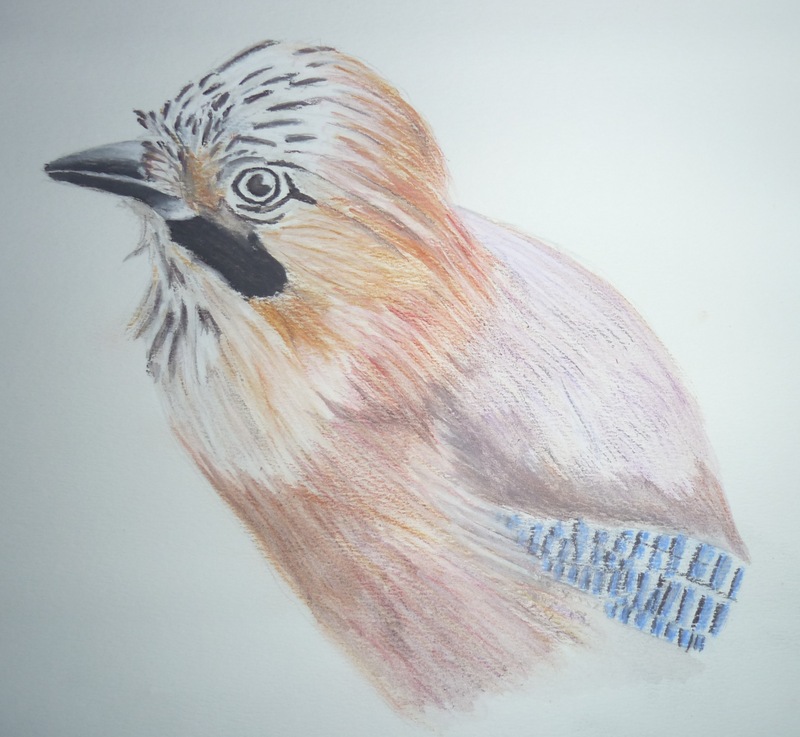 As mentioned before in a previous post, I needed to experiment using pastels pencils to see if I could achieve obtaining the look of feathers on the bird. The comparison between the two techniques. On the left I have used thick watercolour paper (140 lbs, 300 g/m2, cold press) with a rough texture and I have used watercolours to create the base colours of the bird. On the right I have used cartridge paper (100 lbs, 220 gsm, medium grain) which is also fairly thick and I have used the pastels with water to create the base for this illustration. Already you can see the differences in colour strength and lines forming. I am trying to avoid using thick or thin black lines which I normally do to outline an images, I have only used a faint pencil line for guidance which will soon disappear as I build up the other layers. Below and above are the finished outcomes, above is the watercolour (with pastel pencils) and below is the purely pastel pencil illustration. 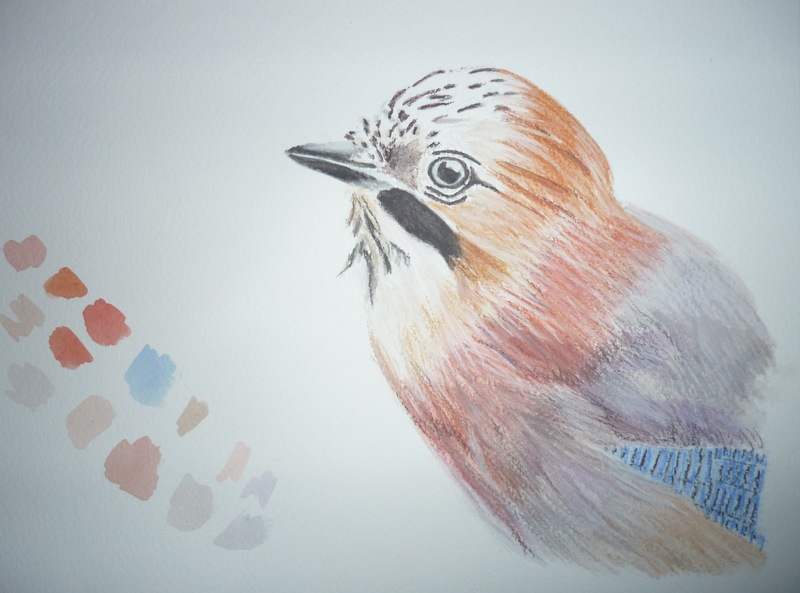 There is a big difference with the look and style as the watercolour illustration has stronger colours but the pastel image (below) has a more refined look to it with the individual feather lines. I know it is hard to create two images identically the same when using different materials as well as just creating the same mark making. When creating my final images for the book, I may have to draw them numerous times until I achieved the balance I want with the correct strength of colour but still have the detail of the feathers. I think because I finished the cartridge paper with the pastel pencils first there is more car in the placement of the feathers whereas I find this is lost slightly in the water colour illustration. A closer view of the feather detail which I think looks a lot better than the digital collage I created earlier. These look more realistic and have more character due to the colours and texture it has. I haven’t used pastel pencils before and so this was my first attempt at recreating a realistic image and at first I didn’t really know what to expect or how to use them but through trial and error I found my way and I have got to say that I am quite chuffed with the final outcome! After my tutorial it was mentioned that I should maybe use a dark brown for the facial area rather than black (I used dark grey) so it doesn’t look so bold and in your face. 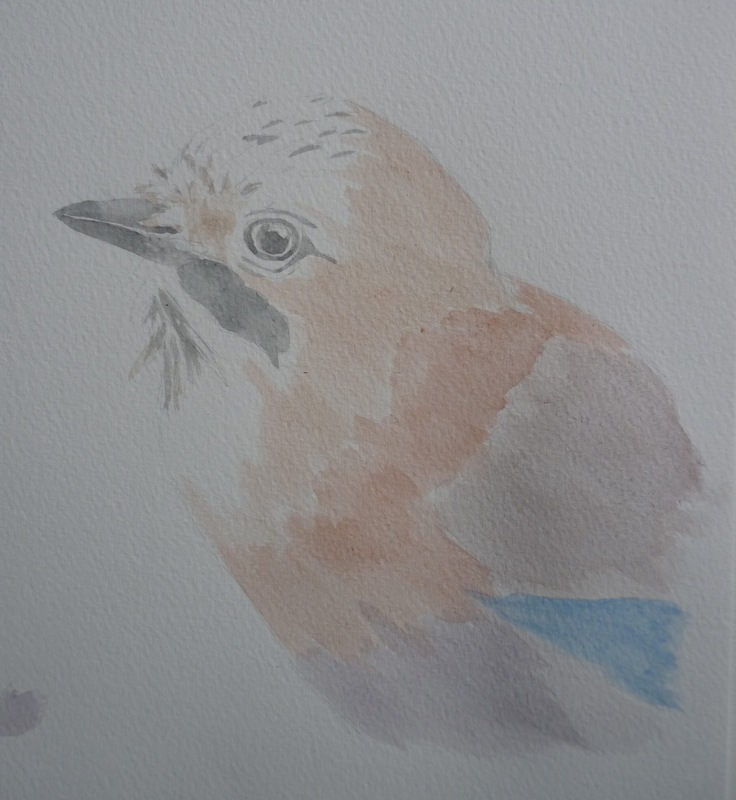 I am unsure whether to take this advice as I know the Jay does have a distinct facial moustache if you like. I will have to draw it again and wait and see. This entry was posted in Pastels and Jays.